The spiciest lifestyle brand in Austria! 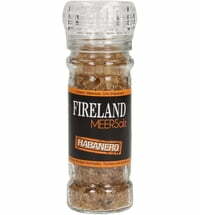 Fireland Foods produces unique chili sauces, paying strict attention to the quality and traceability of their raw materials and production. The product range includes some of the hottest chillies in the world: Carolina Reaper, Trinidad Scorpion Butch Taylor Moruga and Trinidad Scorpion.